lMalfurion Stormrage is the greatest archdruid to ever live, and one of the most powerful mortals in the Warcraft universe. He is the twin brother of Illidan Stormrage, and the beloved of Tyrande Whisperwind. 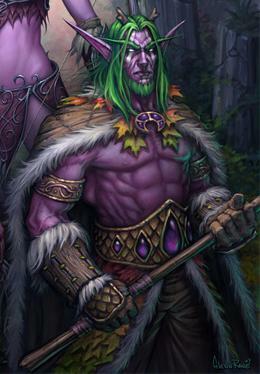 Malfurion started the practice of druidism among the night elves under the tutelage of the demigod Cenarius. Following the conclusion of the War of the Ancients, he became the Archdruid of the night elves. Often he is called shan'do, meaning "honored teacher". However, some close friends occasionally tend to call him "Furion" or "Mal", the shortened versions of Malfurion. 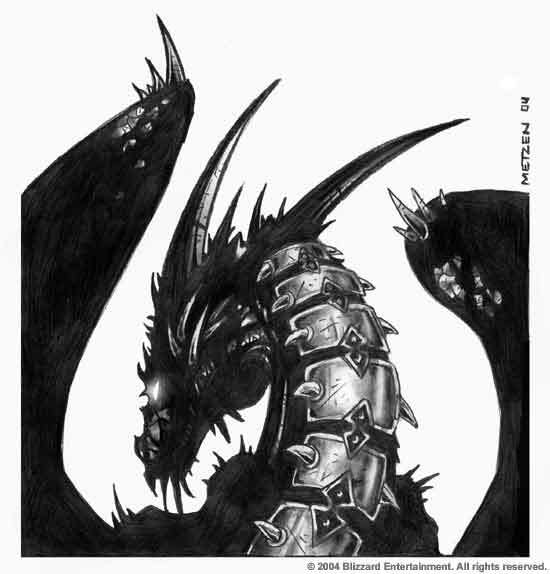 Deathwing, the Destroyer originally Neltharion, the Earth-Warder, is one of five Dragon Aspects and leader of the black dragonflight. Thousands of years ago, Neltharion was empowered by the Titan Khaz'goroth with dominion over the earth and the deep places of Azeroth. However, driven mad by the Old Gods, he turned against the other Aspects during the War of the Ancients, capturing a portion of their power in the Demon Soul. Among both humans and dragons his name has become one whispered with a feeling of fear and contempt.